The Orion Nebula with the same camera in 2x2 binned monopchrome mode. 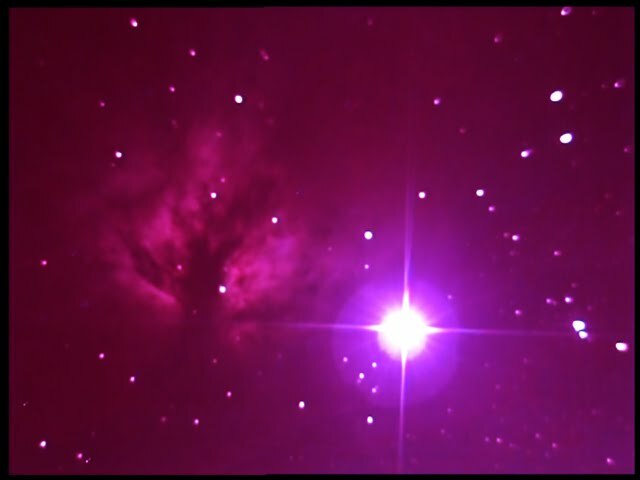 With an 80mm refractor and an 0.5 focal reducer. 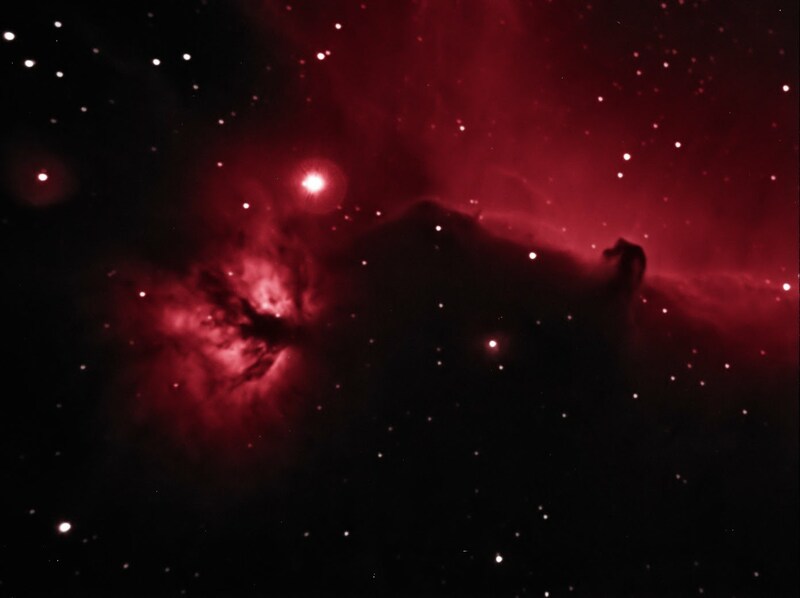 This narrowband image of the flame and horse head region was taken using a Atik 314L CCD camera with an ultra narrowband Hydrogen Alpha filter. 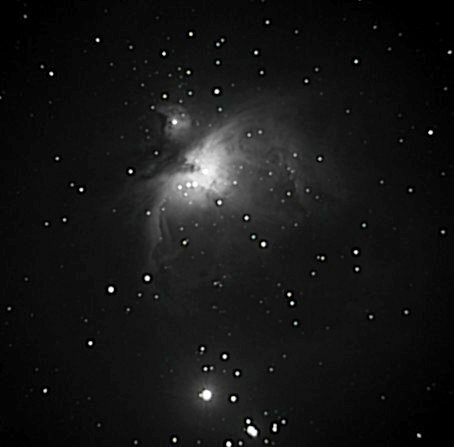 The scope was a 80mm achromatic refractor and was guided using Guidemaster software with Shoestring Astronomy Guide USB Guideport Adapter. The image has been built up from 7 x 15 minute subs, dark-frame and bias-frame corrected and post processed in Photoshop CS5. This image constitutes a "Work in Progress" as more colours channels will be added when possible. Deep Sky Astronomers have two lights to plague their efforts. 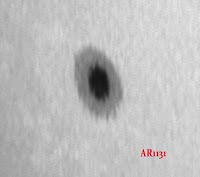 A Trust 1.3 Mp webcam was put at the prime focus of a H-alpha PST to obtain this full disk image of the Sun. H-alpha and Ca K-line PST solar telescopes were mounted on a Merlin Mount and a DMK21AS camera fitted with a x2 Barlow lens assembly were used to record solar activity today. 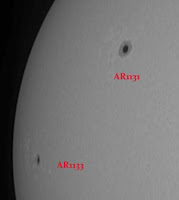 with a Baader solar filter. Sir Isaac Newton is sorting out his letters during the last year of his life. The dramatic reconstruction is based entirely on authentic letters and contemporary material. 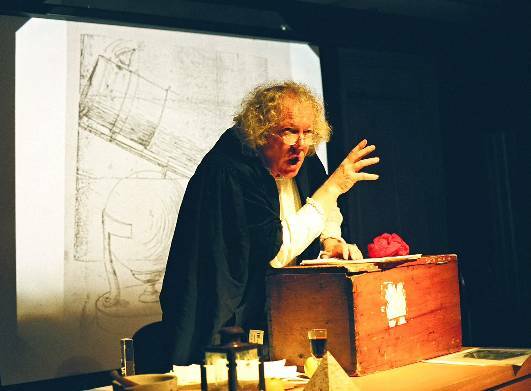 Sir Isaac offers thoughts on his science, his lesser-known studies, and his life. Remember: Sunday, December 12th, The National Waterfront Museum at 2-30pm, a family event.